NEW DELHI: Britain’s Brexit champion Boris Johnson on Saturday hit out at mounting calls for a second referendum on European Union membership predicting it would arouse widespread “anger”, reports AFP. The former foreign minister turned tormentor of Britain’s Prime Minister Theresa May also mocked the “bastards” who run the EU as he attacked the bloc. “It was a very acrimonious, very divisive campaign” in 2016, he said, predicting any second vote would produce the same result. Johnson quit as foreign minister in May’s right-wing government last year in protest at her proposed departure deal with the EU—which would keep Britain temporarily in the EU customs union as a “backstop” until problems with the Irish border are settled. Parliament has since rejected the deal and May is battling political turmoil ahead of the scheduled March 29 departure date. “We need to get this Brexit done properly and our prime minister now needs to punch a hole through that backstop and it has got to be a hole that is big enough to fit the entire United Kingdom,” Johnson told the India Today media group conference. “Once she does that we are free. We are at the races. I am hoping she will do it,” he declared of the intense talks between the government and Brussels. “My objection to the EU was not that it was run by foreigners. 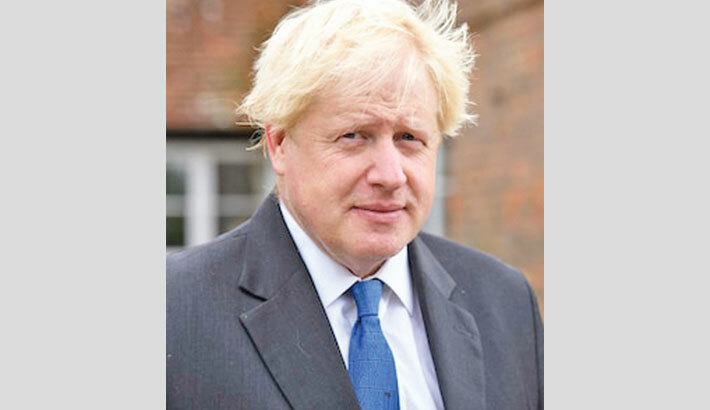 The problem is we don’t really know who is running it,” Johnson said, mocking the five presidents of the EU commission, council of ministers, parliament and other bodies. Meanwhile, the Spanish government on Friday introduced plans to minimise the effect of a no-deal Brexit on British residents in Spain, reports AFP. In attempting to help the 300,000 Brits living in Spain, Madrid also called on London to do the same for the 150,000 Spaniards resident in the United Kingdom. May’s government, however, has already said she will protect the rights of EU citizens in the UK come what may and has urged other countries in the bloc to do the same for Britons abroad. The aim of the new Spanish measures, which will only be triggered if Britain drops out of the EU without a deal, is to ensure that “no British or Spanish citizen is left unprotected, neither them nor their family,” Deputy Prime Minister Carmen Calvo told reporters. Spain has the largest British expat community in the EU. Calvo said the measures concern areas such as residence, employment and healthcare, deemed “necessary to protect workers and retirees covered by the British and Spanish social security systems”.